Are you ready to experience the 2017 Jeep Cherokee Colorado Springs, CO? The Cherokee for 2017 features standard high intensity discharge lights on all models except the Sport. You’ll also still be able to get the 75th Anniversary Limited Edition, which Jeep introduced in 2016 to celebrate its 75 years of great vehicles. Jeep is bringing both comfort and capabilities to consumers who want the best of both worlds. These vehicles have been the choice of those who want a great SUV, but don’t want the price tag that luxury brands come with. For all the features the Jeep Cherokee has, these vehicles are well worth their slight price increase for 2017. The new Cherokee is available in 8 different trim levels, so you’ve got your pick of options when it comes to your love of Cherokees. From the flashy Overland to the base Sport model, check out what Jeep has to offer for your next Cherokee in 2017. When you’re looking for your next Cherokee, the 2017 Jeep Cherokees offer better features for humble price increases. Best of all, Jeep features three different Limited Edition Cherokees, including the 75th Anniversary Edition from 2016 with 2017 upgrades. These mid-size SUVs combine capability with luxury to be your best vehicle. Come test drive one with us to see what these vehicles are about—the 2017 Cherokee is fun to drive and allows you to customize all your features to be your next perfectly tailored SUV. When you want the best in off-road performance, look no further than the 2017 Trailhawk Cherokee from Jeep. With 271 horsepower and 239 lb.-ft. of torque, this SUV was simply made to tackle the trails. With Selec-Speed Crawl Control and off-road suspension with a 1-inch lift, the Trailhawk is ready for anything. All season floor mats protect your interior while Uconnect 8.4 comes standard to keep you connected while on the trails. The matte black hood decal is unmistakable on the Trailhawk. Accent color roof rails and an optional Cold Weather Package make the Trailhawk your ideal choice for outdoor fun, regardless of the weather. A transmission skid plate comes standard with 17-inch aluminum wheels. You also have the option of black-painted wheels on your Trailhawk with standard off-road wheel flares. In bold colors like Firecracker Red and Hydro Blue Pearl, the Trailhawk is ready to show you exactly how much it can handle off-road in 2017. The Limited Cherokee impresses for 2017. 18-inch polished aluminum wheels and leather-trimmed seats make for a luxury experience in this model. The standard remote start and security alarm are just two of the many safety and security features Jeep offers for the Cherokee in 2017. Heated front seats and steering wheel help control your interior temperature. The Limited gives you the most options for interior color choice with the Cherokee—including black with light frost beige and indigo with blue and brown accents. With 6 standard speakers and optional safety features such as Blind Spot and Cross Path Detection in addition to ParkSense Rear Park Assist System, the Limited allows you to customize your Cherokee experience. You can also add additional optional packages, including the Luxury, SafeyTec, and Trailer Tow Packages. Color-keyed door handles and exterior mirrors combined with 17-inch aluminum wheels make the Latitude shine. Silver roof rails add a bright accent regardless of what body color you choose, from Light Brownstone Pearl to Deep Cherry Red Crystal. A ParkView Rear Back Up Camera comes standard in addition to leather-trimmed bucket seats. With proficient 4×4 capabilities and standard fog lamps, you’re ready to go in the Jeep Cherokee Latitude. The Sport could just be your best Cherokee for the value. With a 2.4L Tigershark MultiAir engine and Uconnect 5.0, the Sport is your standard Cherokee with some of the added improved features for 2017. Jeep’s Cargo Management System and cloth low-back bucket seats perfect the Sport. Chrome grille surrounds with solar control glass add a touch of shine to the Sport model. If you want value combined with some great features, consider the Sport Cherokee for 2017. The Overland comes with more standard luxury features than other Jeep Cherokee for 2017. It has a leather-trimmed interior—including a leather-wrapped instrument panel—with ventilated leather-trimmed seats. With its 60/40 folding rear seats and the front passenger seat’s ability to fold totally flat, you have optimum storage at your fingertips in the Overland. Uconnect 8.4-inch touchscreen comes standard, as does 3D navigation. Bi-xenon high intensity discharge headlamps produce more light, yet last longer than halogen lamps. The modern design is sleek yet stunning, making for an aerodynamic cut. The standard power liftgate, available skid plates, and 18-inch wheels are just a few of the exterior features the Overland offers. The Alpine Premium Audio system completes the interior luxury feel. 10 standard airbags protect you and your passengers no matter what. The 3.2L V6 engine features a 9-speed automatic transmission with electric start-stop technology. Remotely start your Overand Cherokee from up to 300 feet away with remote vehicle start. Independent front and rear suspension ensure a smooth ride—and don’t forget Selec-Terrain, which enables you to customize your vehicle’s performance based on your environment. If you want more off-road power in your Cherokee, the Trailhawk could be your SUV. This Limited Edition Cherokee features blacked-out style combined with the performance you love in a Cherokee. With up to 30 MPG and 184 horsepower, the High Altitude Limited Edition doesn’t disappoint. With an all-black interior and gloss-black exterior accents including the roof rails, the High Altitude has heated leather-trimmed front seats and a heated steering wheel. Dual-zone temperature control ensures that you’re the right amount of cool on hotter days. Standard fog lamps make the High Altitude a beacon even with its dark accents. Bright exhaust tips and the option for bright roof rails customize your exterior on this Limited Edition Jeep for 2017. The active grille shutters and heated exterior mirrors bring together the best of the Cherokee—style with innovative design to cater to all your needs, whether on the trail or commuting to work. With unique badging and bronze accents, the 75th Anniversary Limited Edition Cherokee has a lot to offer Jeep fans for 2017. With cloth and mesh bucket seats and ambient LED interior lighting, the 75th Anniversary Cherokee showcases the best of comfort and originality. With a leather-wrapped steering wheel and 8.4-inch Uconnect touchscreen coming standard, you’re going to love this SUV. Available in the popular Recon Green, this Limited Edition Jeep also features orange interior accents. You also have the option of a universal garage door opener. A CommandView dual-pane sunroof lets you totally experience the outdoors. A 115-volt power outlet and a remote USB port come standard on the 75th Anniversary Cherokee. 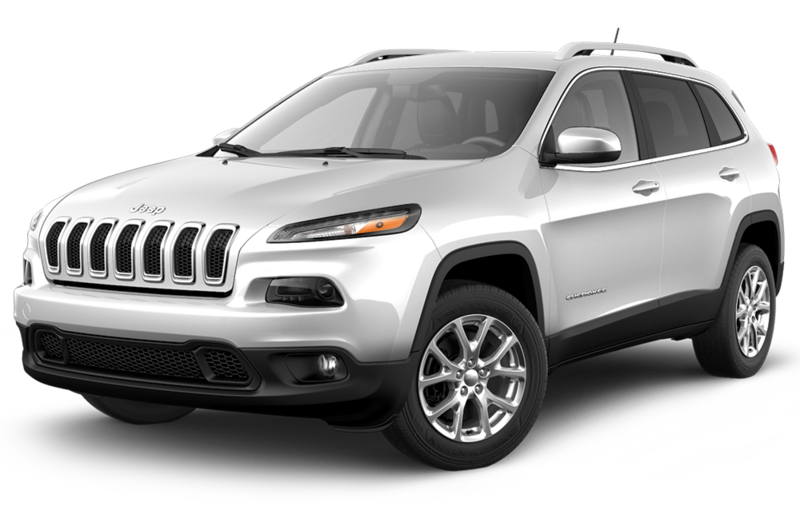 Experience the 2017 Jeep Cherokee in this fast-selling Limited Edition! As the third Limited Edition from Jeep Cherokee in 2017, the Sport Altitude features gloss-black exterior accents, including gloss-black grille surrounds and 18-inch gloss-black wheels. A leather-wrapped steering wheel with optional heating with controls add a touch of luxury to the Sport Altitude. Deep-tinted glass and black exterior mirrors complement the Sport Altitude’s black accents perfectly. Available in colors like Hydro Blue Pearl, you can’t go wrong with the Sport Latitude. If you’re looking for the Sport without the black exterior accents, the 2017 has you covered. The Faricy Boys Jeep dealership is located here in Colorado Springs, Colorado. We have a large selection of high quality certified pre-owned and new Jeep Cherokee models, waiting for you to drive home. You can take them out for a test drive, and decide which year of the Cherokee’s fifth generation is right for you. With multiple trim level options, and even more limited and special editions available, you will be overwhelmed by the seemingly endless possibilities that the newest Jeep Cherokee offers. When you purchase the capable Cherokee model new with The Faricy Boys, you will automatically save money without compromising quality, dependability, or the reliability that the Jeep brand is built upon.